A Flushing-based brokerage founded by a former mailman has once again topped the list of largest residential real estate firms in Queens. As of May 30, Winzone Realty had the greatest number of agents registered in Queens with 730 licensed salespersons, according to data from the New York Department of State. Franchises of the Texas-based firm Keller Williams occupied the number two spot with 661 agents spread across three offices, while Exit Realty placed at number three, with 536 agents at 12 different branches in the borough. Winzone was also the biggest firm by agent count last year. The Real Deal recently interviewed Winzone owner Ben Pan about his company, which he founded in 2002 after having spent years working as a letter carrier for the U.S. Postal Service. He attributed the firm’s size to a policy he instituted in 2013 to let agents keep 100 percent of their commissions. The agents either pay Winzone a $488 fee per closing sale, or a $288 fee per sale along with a $28 fee per month. Unlike Winzone, many of the other top firms in Queens are franchises of international companies. These include not just Keller Williams and Exit Realty but also Century 21 and Re/Max, which occupy the number four and number 10 spots with 318 and 127 agents, respectively. 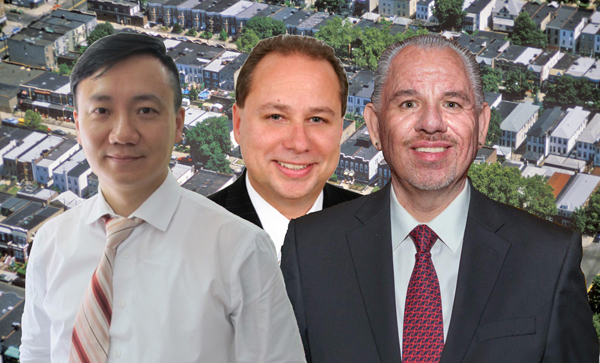 There are a few Queens-based independent firms in the top 10 as well, including Chous Realty Group at number eight with 186 agents and K Land Realty at number nine with 132 agents. Both brokerages are based in Flushing, where a sizable development boom has taken place in recent years. The list of the largest firms in Queens by agent count aligns closely with the list of the top brokerages by residential sales volume from April 1, 2016 to March 31, 2017, but the two are not identical. The agency that occupies the same spot on both lists is Winzone at number one, while Keller Williams franchises occupy the number three and four spots on the sales volume list. Exit Realty, East Coast Realtors, Douglas Elliman and Re/Max appear on both lists as well but not in the same spots. Robert Glessman, who heads Elliman’s Long Island City sales office, maintained that his company had about 253 agents in Queens, but said some were mistakenly listed as being in Staten Island in the New York State database. Glessman listed Astoria, Long Island City, Sunnyside, Woodside and Jackson Heights as neighborhoods that were seeing a lot of activity. Correction: In an earlier version of this report, Douglas Elliman was incorrectly cited as the eighth-largest brokerage by agent count when they are number seven.